SquareTrade AP6.0 SKU #: 112- 2122 -5983 BUY FROM ANER YOU CAN TRUST!!!! 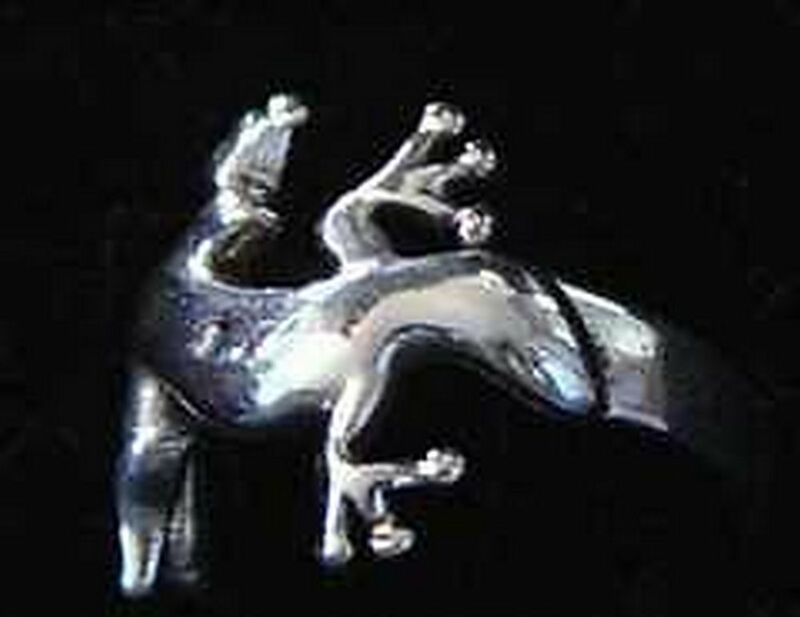 STERLING SILVER .925 GECKO RING RING SIZE = 8 (BUT CAN BE SIZED LARGER OR SMALLER! SEE BELOW FOR DETAILS) A Lizard holds an important symbolic meaning: To Keep Away Disease Be the lucky winner of this sale! You are Bidding on an extremley rare hard to find Gecko Infinity knot ring. You can search all of, the entire internet and chances are you won't get your hands on this incredible ring. This item is even hard to find in stores. Be the proud owner of this ring. Who know's when you'll be able to get your hands on one of these again. WE COMBINE SHIPPING! TO QUALIFY FOR COMBINED S/H FEES, THE MULTIPLE AUCTION WINS MUST BE PAID WITH A SINGLE PAYMENT OR WE WILL NOT COMBINE SHIPPING SHIPPING HANDLING FOR ALL AUCTIONS, you pay only 4.99 S/H for any amount of auctions no matter how many auctions you win it's still only 4.99 . INTERNATIONAL ORDERS STILL PAY ONLY 4.99 FLAT . . . On Oct-19-09 at 20:41:51 PDT, seller added the following information: Shipping: Domestic shipping: I am happy to get your item to the post office within 48 hours after your payment has cleared. I ship products using Canadapost Airmail, therefore it could take up to: For packages delivered within Canada shipping could take approx 4 – 14 business days -To the USA approx 10 – 15 business days for delivery -Anywhere else is approx 4 – 6 weeks for delivery. If you are in a rush to receive your package you can contact me on additional costs to upgrade to a faster delivery service and I can give you price quotes. Returns and Refunds: Return Policy - We are proud to offer 100% satisfaction guarantee within reason. *must be returned within 7 days of receipt and in the same condition as received. All returns are subject to a 15% restocking fee and less shipping. Exchanges will not be subject to a restocking fee. Buyers are responsible for return shipping charges. Please contact us before you return your item. If there are any questions or concerns regarding merchandise received please email us so we can resolve any matters and suggest any other options that might be available. Communication: Please email your questions and concerns through the messaging system. We check email frequently. If you do not receive a response to your question within 48 hours - it's possible we may not have gotten your email. Feedback: I strive to be a 5 star seller. Your feedback is critical to my success . I ask that you leave me a Positive feedback with all 5 stars, so that I can be set apart from my competition . If you feel that you cannot leave a Positive comment with all 5 stars - I WILL EARN IT. Please do not hesitate to contact me for any reason. I am here to exceed your expectations! Powered by Turbo Lister The free listing tool. List your items fast and easy and manage your active items.